Kelly Kidwell is the CEO of Fiscal Advantage, providing vision and leadership around financial performance for closely-held companies. He owns and leads multiple businesses, is a frequent national lecturer for fellow business owners, and provides continuing education for attorneys, accountants, and financial advisors. Active across the financial services industry and in the community, he is known and respected for his effective strategies for corporate, tax, charitable and estate planning. Kelly’s professional memberships and achievements include being Chair of the Charitable Planning Committee for the Association for Advanced Life Underwriting (AALU) and Leader of the Volunteer Planned Giving national program for the March of Dimes from 2001 to 2008. He is also a member of the National Association of Insurance and Financial Advisors (NAIFA) and a member of the Los Angeles Estate Planning Council. He has been a member of Vistage since 2012. A resident of Claremont, California, Kelly and his wife, Cristy, have 4 children and 3 grandchildren. Kelly is also a private pilot who enjoys taking his family on a variety of weekend adventures. 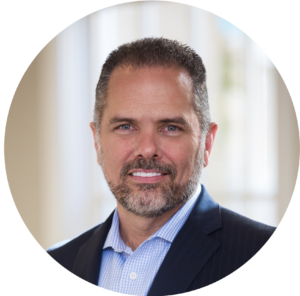 Eric McDermott is the president of Fiscal Advantage, a financial analytics firm working with over 60 leadership groups and more than 500 business owners nationwide. His roles include new initiatives, operational strategy, and enterprise marketing for Fiscal Advantage and his various other companies. Eric focuses on connecting business leaders with strategies to protect and grow their business, net worth and estate. An entrepreneur and business owner, Eric applies his more than 20 years of innovation and operational strategy experience throughout his many enterprises. As a public speaker, Eric is sought after on topics inside and outside his industry. Recent events include speaking from mainstage to thousands of business leaders on changing the industry for “What’s Next,” as well as international speaking events in Bangkok and Taipei. Eric also speaks for associations outside the financial services industry sharing competitive strategies for a rapidly changing marketplace. Some of his speaking includes frequent presentations across the country to business owner and CEO groups on financial strategies for earning more and keeping more. He has a special passion for presenting to non-profits on advanced planned giving strategies for attracting more frequent and larger donors to worthwhile causes. For years, Eric has led presentations for employees and leaders, across dozens of companies, on personal strategies for getting financially organized. 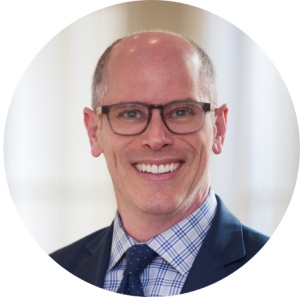 Dan is the founder of Fiscal Advantage, establishing the company to help guide companies in insights and practices to improve enterprise financial performance. Fiscal Advantage’s focus is organizing and developing strategic reporting and sharing insights with companies throughout the year, to improve profit, cash flow, and enterprise value. 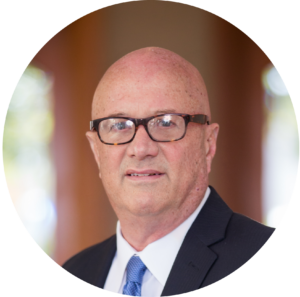 Dan has been active in business & finance for over 25 years and has a strong background in corporate finance, investment banking, capital markets, financial analysis, and business strategies. Prior to starting Fiscal Advantage, Dan founded Stonebridge Financial Services, a mergers and acquisitions firm representing for-sale, privately-owned businesses with $5 million to $100 million in annual revenues as well as representing larger operating companies and equity investment groups seeking strategic add-on acquisitions. Dan’s experience includes consulting strategically with business owners towards building stronger companies and optimizing enterprise value, as well as securing financing including debt and equity instruments. Dan has worked in manufacturing, distribution, retail, and service sectors in many industries including medical, building supplies, business services, professional services, technology, food, energy, and consumer-product industries. 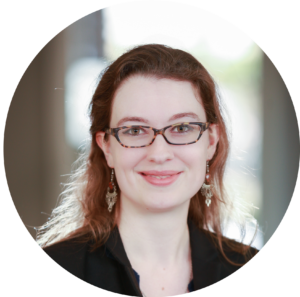 Sarah brings project management expertise, an interdisciplinary approach, and ruthless efficiency to her Operations role at Fiscal Advantage. Her specialties include managing and prioritizing multiple projects simultaneously; collaborating between multiple departments and companies; maintaining client-focused leadership at all times; developing use cases and leading workflow testing; and her aptitude for absorbing, understanding, and categorizing large amounts of information, then building consensus and moving forward with a functional plan of action. Sarah has worked in academia as a Research Fellow, wrestling alligators, designing experiments, teaching technology literacy, and tracking mountain lions for environmental research programs; for the Girl Scouts of America, training girls and adults in outdoor survival skills, leadership, kayaking, and astronomy; for public libraries, with an emphasis on community outreach and information literacy; and for an information security-focused software startup as a Project Manager and Operations Specialist. She led a highly-profitable business unit contracted with Intel, pitching cutting-edge computer science books for their in-house publishing imprint, Intel Press. Her interest in financial literacy and decision-making in business operations led her to the finance industry in 2015. She looks forward to future leadership opportunities within the rapidly-changing financial services industry. Will carries an analytical mindset and prioritizes clear communication, efficient practices, and innovating ways to improve client experience in his work at Fiscal Advantage. 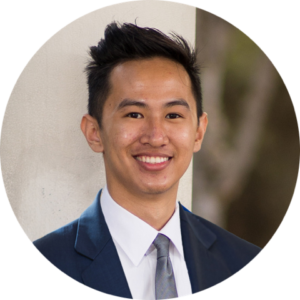 An economics graduate from UC San Diego, being with Fiscal Advantage allows Will to blend his longtime aspiration to help others make better financial decisions with his reverence for data and analytics. He is responsible for coordination, organization, and analysis of all data intake as well as being in charge of compilation and quality control for outgoing analytics reports. In addition, Will serves as the primary point of contact and logistics coordinator for Fiscal Advantage’s many business analytics programs. Together with Dan O’Connell, Will ensures the efficiency and effectiveness of Fiscal Advantage’s day-to-day operations with an emphasis on timely, quality service. Previously, Will worked extensively in the film industry where he was involved in a variety of undertakings such as collaboration on a Samsung commercial, volunteer work for independent film festivals, and pursuing his own film project ventures. In his free time, Will is the guitarist in a band, an avid lover of video games, and is learning the Japanese language. Have a 15-minute, private conversation about our reports and services. Fiscal Advantage provides financial performance analytics designed to help small- to mid-sized companies better understand the financial health of their business.